Prof. Ram Harsh Singh born on Jan 10th, 1942 graduated in Ayurved, Medicine and Surgery (ABMS) from Banaras Hindu University (1961) with top rank career, did Ph.D (1969) and D. Litt (1982) under the coveted supervision of Padmashri Prof. K. N. Udupa. He is Fellow of the National Academy of Indian Medicine (FNA IM) and Jewel Member of All India Ayurveda Academy (RAV). Prof. Singh has produced over 100 MDs and 35 Ph.Ds under his guidance, many of whom are holding top rank positions in the country. He has published 20 books and 200 Research papers in National and International journals (select list attached). He is on the Editorial board of several National and International Journals. Prof. Singh is the Member of National Commission on History of Science nominated by INSA and is on the Scientific Advisory Committees of several National Institutions and Organizations. 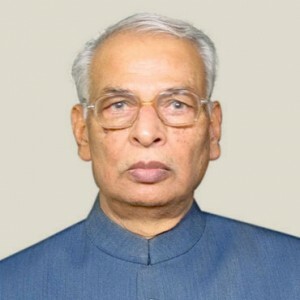 He is the recipient of the prestigious Ayurveda Triguna Award 2015 of Ayurveda Mahasammelan carrying a cash Award of Rs 2 Lakh and Ram Narayan Sharma National Research Award of 2005 carrying cash prize Rs 1.50 Lakh by HE the President of India for outstanding contributions in the field of Ayurveda, Hari Om Ashram Award, IASTAM Award, Jivak Award of Asian Medicine, Piyus Pani Award, Life time achievement and Kasturba Oration Award of MGIMS, Platinum Jubilee Oration Award of Indian Science Congress (2002) and Distinguished Alumni Award of Banaras Hindu University. He has widely traveled all over the world to promote Ayurved globally.